Music transcends language, culture and time. 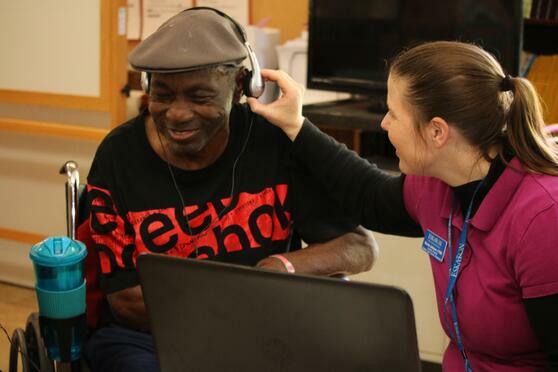 Eskaton residents are sparking new connections using an innovative music platform called SingFit. The music-therapist-designed program was created specifically to keep the mind and body engaged. The training begins with certified music-therapist Andy Tubman playing a song on his IPad asking the group how they feel. “Happy, relaxed, alive, awake” were all answers given by trainees. Music when used appropriately can shift mood, manage stress, promote positive interactions and support brain health. Eskaton's trained facilitators lead residents on different musical journeys that can include trips across the globe, American cinema, show tunes, and more. 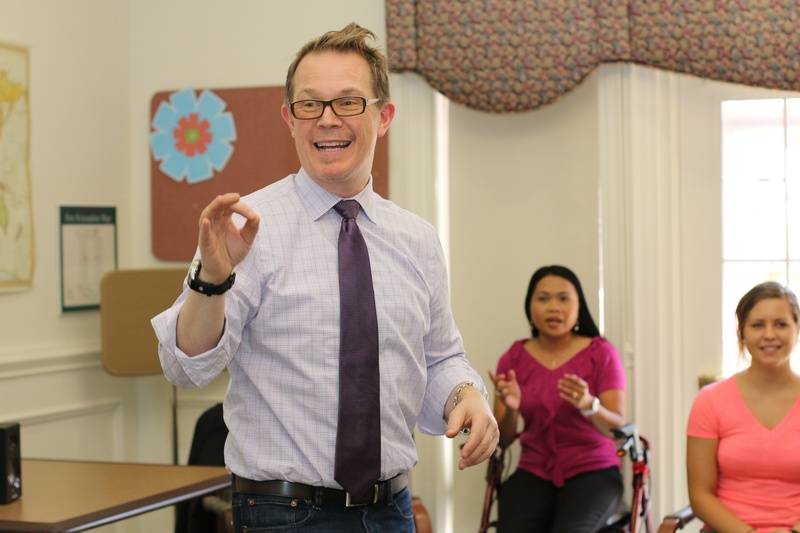 Each session is uniquely tailored to fully engage each person through singing, movement, trivia and reminiscence. The beauty of the program is in its adaptability to fit the unique needs of all residents from those living independently to those in memory care. Each session is as unique as the rhythmic cues that compose each song. Activity Director of Eskaton Fountainwood Lodge, Sharon Wold, thought to include an intergenerational component to the program and was delighted to see young children enthralled with history through song. 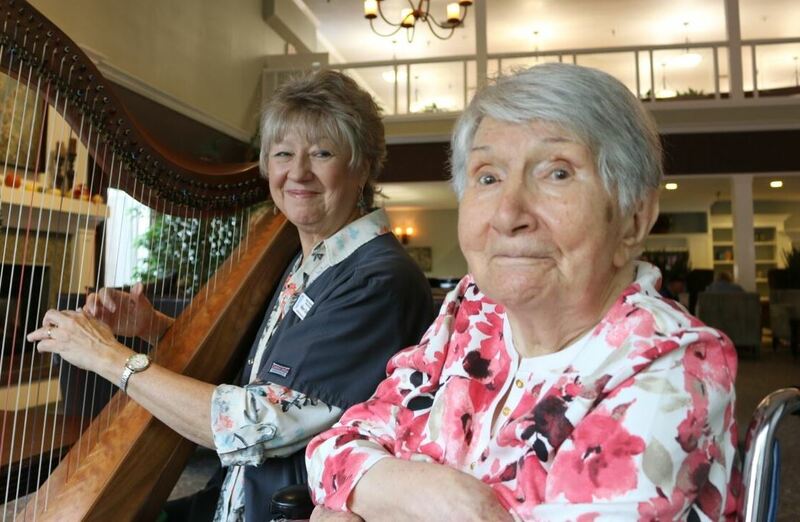 Live Well at Home volunteer, Kathy Kirth, brings the joy of the program to the residents of Eskaton Care Center Fair Oaks when they find spiritual connection through spiritual hymns. Do you want to participate in a SingFit session at an Eskaton community or learning how to become a trained volunteer? Please call Darlene Cullivan at (916) 334-0810. Learn more about the Therapuetic Music Program sponsored by Eskaton Foundation. Read about music's impact on Larry.